[By Nick, New for early 2017] After numerous failed attempts to find something new to review besides these pint slices, I guess I'm stuck with them. Let's take at my 2nd crack into this line up. I'm keeping an open mind with this one. I trust Dubba's opinions and he's enjoyed the other slices so maybe this one will be different than my first experience. Like the cookie dough, this one is filled with the chocolate brownies. Seeing as these are Greyston Bakery brownies, you know I love that factor. There was easily 8 brownie chunks in the little bar. 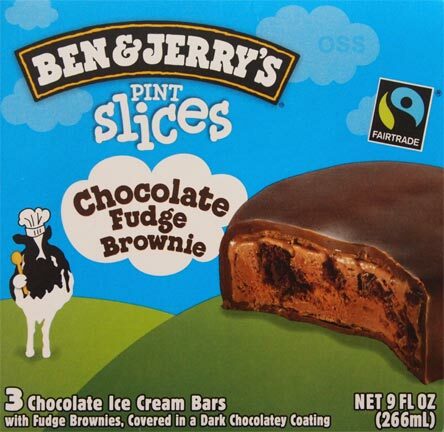 While I'm typically not a fan of Ben & Jerry's chocolate ice cream, it works in this application. The shell adds a richness that the chocolate ice cream lacks. You get the milky cocoa flavor from the ice cream and the dark chocolate from the shell that takes this one up a notch. The brownies are delicious as always and add another element to this novelty with their fudge like texture. It's night and day with this one versus the cookie dough version. The components all work together to make a greater end product. The bar is rich but not so much so that you feel like you need new pants after. This one is worth picking up for sure. 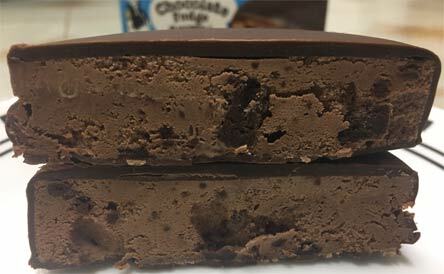 It definitely has its place among the best of the chocolate ice cream novelties on the market. Dubba's Thoughts: I really like this one too, so rich and fudgy! 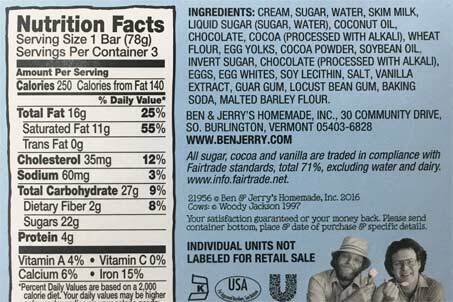 I used to be disappointed in the chocolate base of b and J's too. Not bad but nothing special. Now I adore it...I'm curious what you don't like. 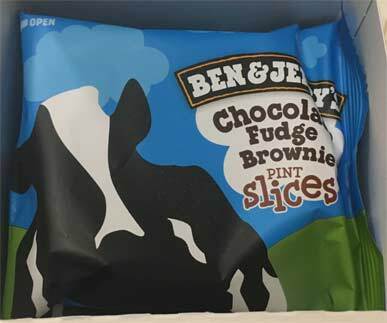 These treats don't appeal to me because, as much as I love love love ice cream, I'm not a fan of novelties and have no interest in bars or sandwiches. I'll stick to my pints. But it does make for a pretty picture! I thought they would be a chocolate overload for me, but I ended up loving them. Fudgy is a good description! Chocolate fudge are my all time favorites and i am sure a lot of other people also do like these. keep posting more reviews.